Henk Tjon – Suriname's most celebrated theatre director, playwright, and cultural activist – died in Paramaribo on 18 September, at the age of 61. 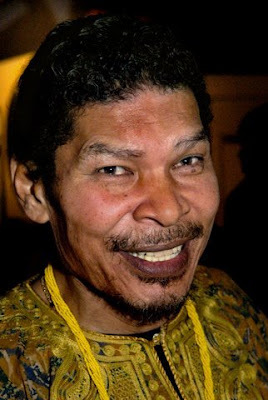 He played a major role in sharing Surinamese culture with the rest of the Caribbean – especially via the Caribbean Festival of Arts, Carifesta, for which he served as Suriname's artistic director seven times over nearly four decades. He was also the co-founder of De Nieuw Amsterdam (DNA) theatre company in the Netherlands. As an active theatre maker in a post-colonial environment, you really have no choice in what kind of theatre you make. You will always want to bring people together with your work, want to stimulate exchange and cohesion between people and their cultures. Naturally, your immediate environment will determine your work to a significant degree, but what all theatre makers who do not work in the West have in common is the fact that they are usually not working for the elite. Whether you are working in India, Uganda, Suriname or Ecuador, theatre is in the middle of society. That is also what gives it a lot of its expressive power. Personally, the artistic urge has always been my primary drive. But what I hope to achieve with my theatre also applies to those who use theatre as a means to achieve other objectives. We all want to communicate, to touch others, to get people thinking. That will always be the most important function of the theatre. Sadly, all of us former colonies carry an annoying history with us. The fact that others determined how and who we were for us – we have not been liberated from that yet. It will play a large part for a long time. In the search for identity, theatre has an important function. Many thanks to the Creator for the loving and lovable person that was Henk Tjon. He was once my director in a play "Hot Flashes" and I could never forget him. Rest in peace, my brother Henk. Oh what a sad day for our Caribbean theatricians. First Trevor, now Henk.We have lost a visonary. What is Carifesta without you and Suriname pray tell? The ancestors await you in their realm. RIP Henk. I want to share this poem with the paramaribo SPAN blog readers too. Kurt Nahar wrote it for Henk Tjon.